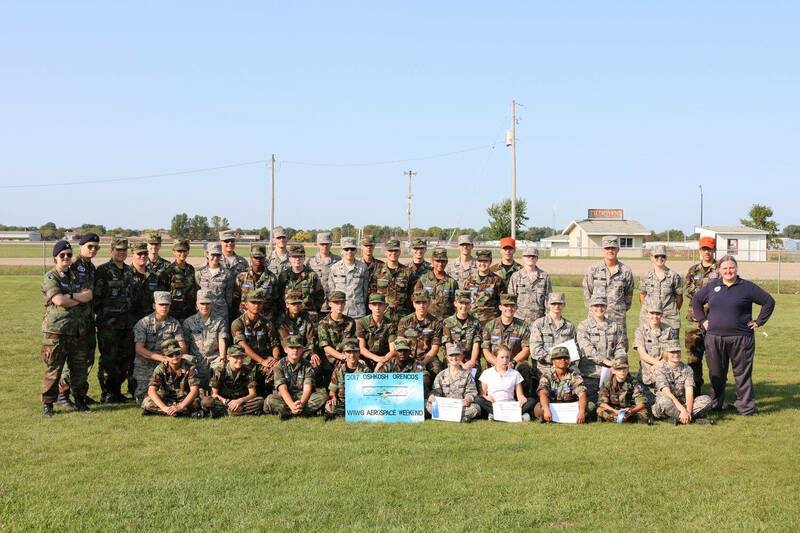 Oshkosh, Wi- Approximately 84 Civil Air Patrol (CAP) members from 12 different units around the state attended Aerospace Education Weekend on September 8-10. This STEM-based weekend held annually at the CAP National Education and Training Center located at Wittman Field in Oshkosh. 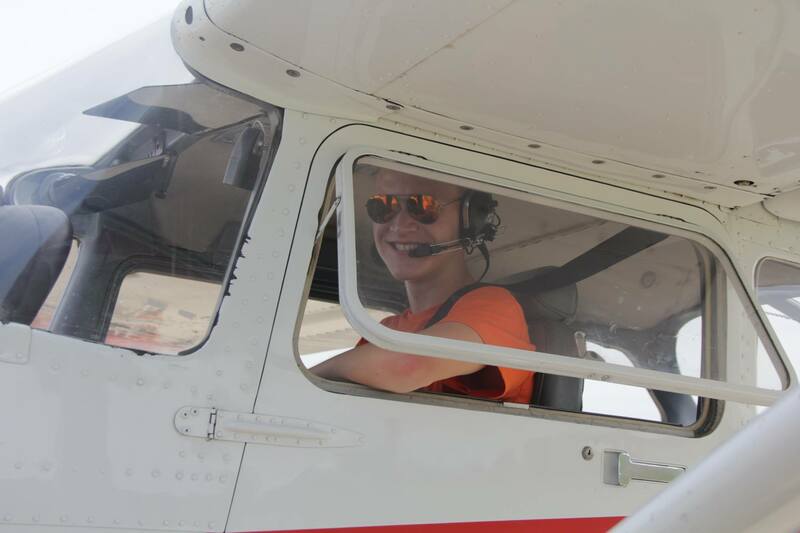 Fox Cities cadets spent the weekend exploring the science, technology, engineering, and math (STEM) in aerospace as well as experiencing aviation first hand. Cadets conducted experiments with hot air balloons, paper airplanes, model rockets, and more. Experiments and training opportunities like these help members learn about the science and engineering that goes into space travel and flight. The annual weekend has been held for more than 20 years. 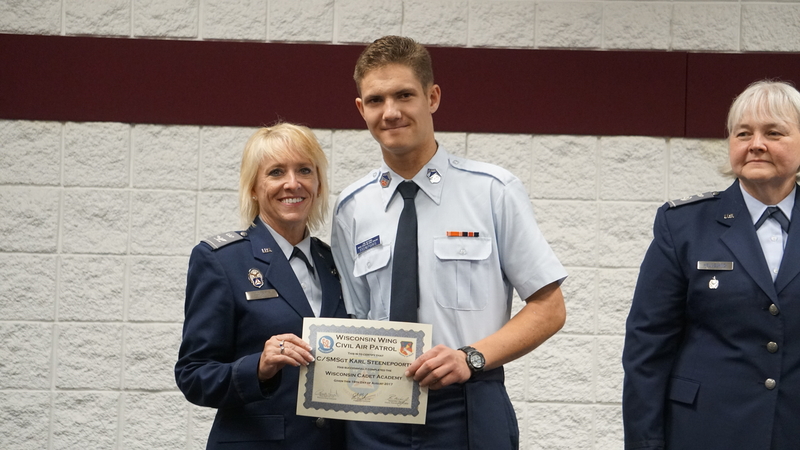 Congratulations to Cadet Airman Sellers for completing the model rocketry program and earning his model rocketry badge during the weekend. We also had two cadets attend as staff members. 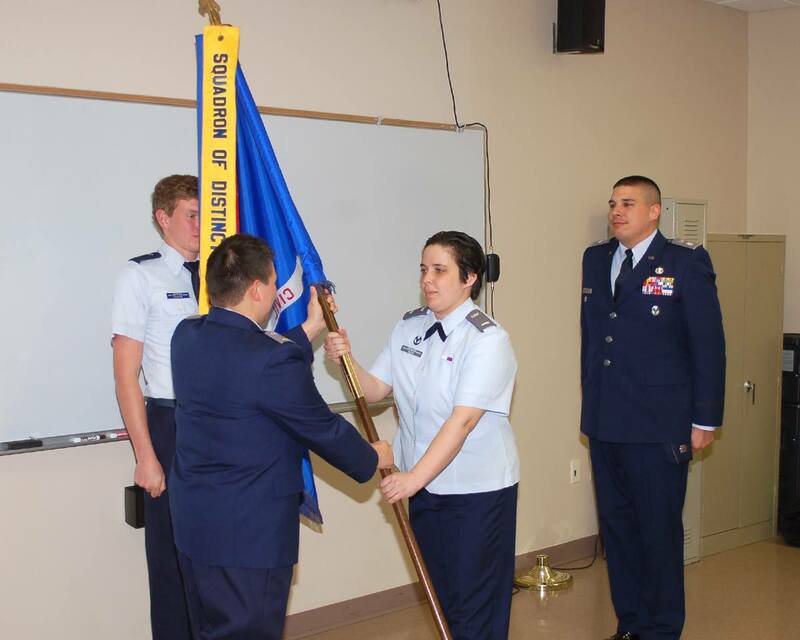 Cadet Second Lieuteanant Bastian served as Bravo Flight Commander, and Cadet Second Lieutenant Niemi served as Cadet Public Affairs Officer (PAO). The main highlight for the month of August would have to be encampment. This is a week of training for the cadets to develop their skills. During this week Cadet Second Lieutenant (C/2d Lt) Matthew Niemi attended as Squadron 2’s Cadet Executive Officer/ First Sergeant. His job was to make sure his squadron ran as smoothly as possible, such as washing the squadron laundry or checking on the flight commanders. 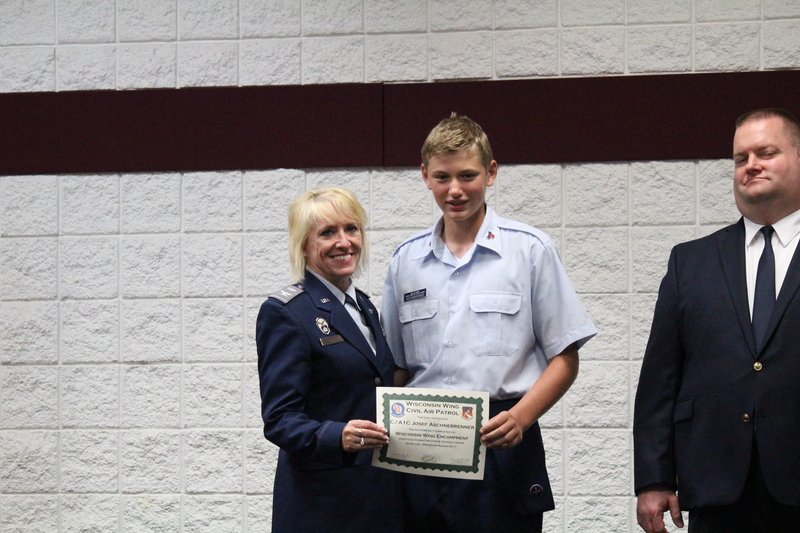 “It was an awesome experience watching the cadets grow through the week” stated Niemi. 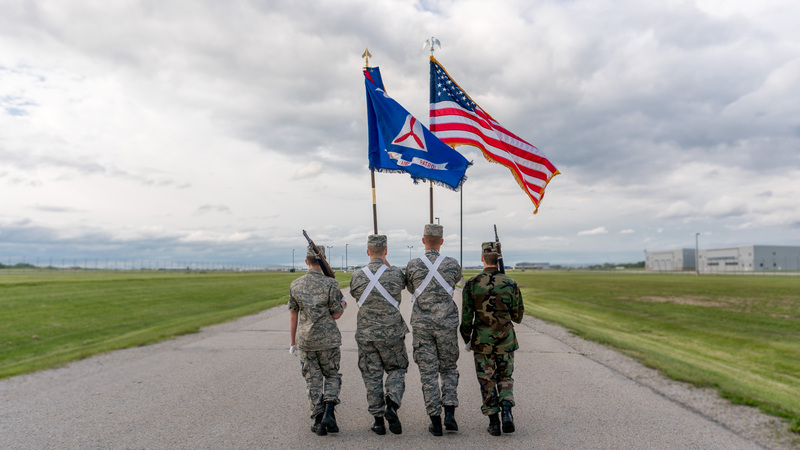 Cadets that staffed alongside Niemi include, C/2dLt Jacob Chanda as a flight commander, and Cadet Colonel (C/Col) Evan Thomsen as the Encampment Cadet Commander. Sergeant Steenepoorte also stated “Cadets who haven’t attended WCA believe that it is “the worst week ever”, and that is just not true. As long as you can keep your head up when under pressure, and be able to listen to the criticism, you will do fine. The first few days are the hardest, but if you learn from your mistakes and those of others, the week will go by quickly.” Along with Sergeant Steenepoorte, C/2dLt Isaiah Bastian also attended WCA. Finally C/Amn Jack Weaver attended basic encampment. Throughout the week Weaver said he learned many things such as customs and courtesies, making his bed, and wearing his uniform to perfection as well as correcting others uniform. He said that he made so many new friends and that he hopes to attend encampment next year. 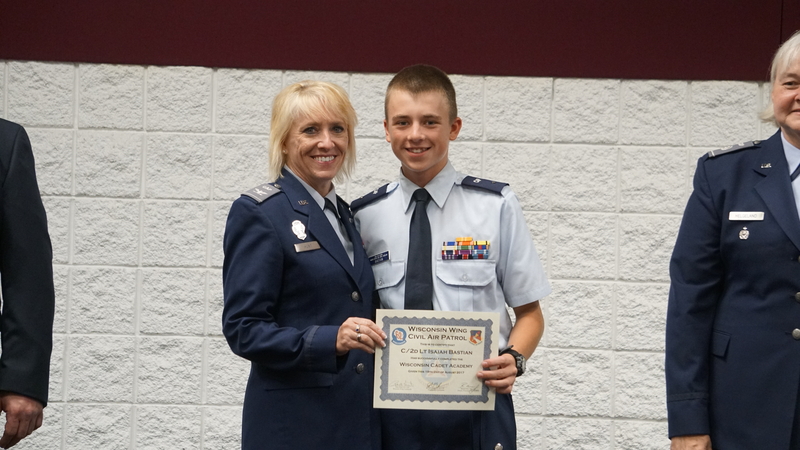 Cadet Airman First Class (C/A1C) Josef Aschenbrenner also attended basic encampment, during the week C/Aschenbrenner’s determination and commitment to helping fellow Cadets was recognized by him receiving Honor Cadet of the week for his Squadron. 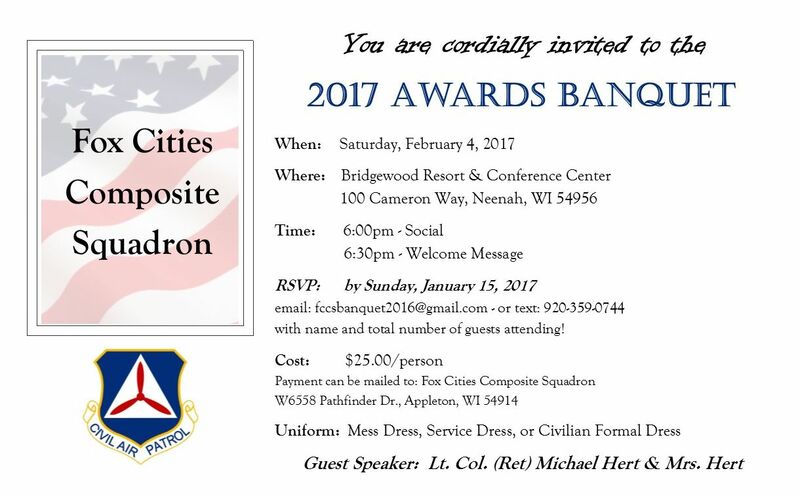 Fox Cities Composite Squadron will not be holding a regular Tuesday evening meeting on July 4th. 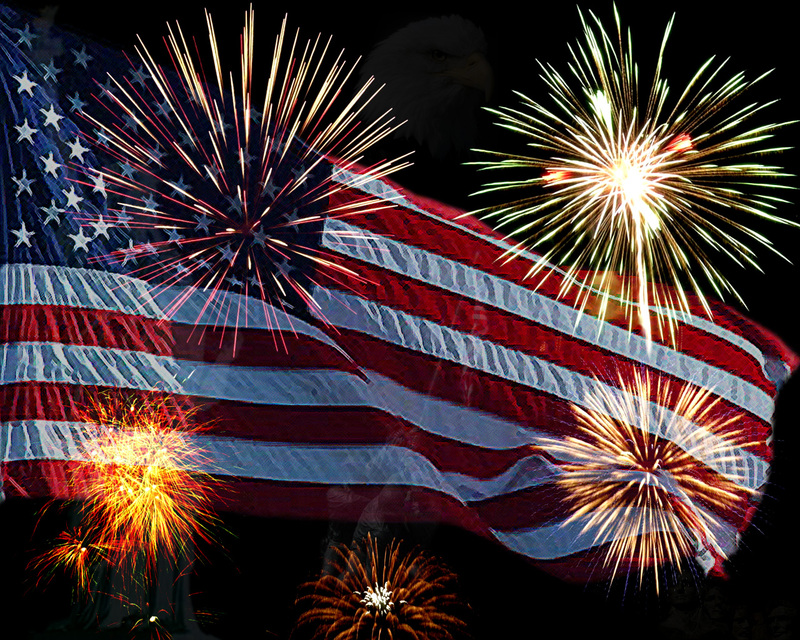 We encourage all of our members (family and friends) to spend the day enjoying the Freedoms we have been granted! Cook-outs, fireworks (safely!) and fun! 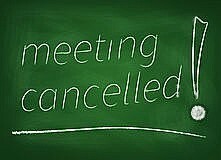 We will resume our Tuesday evening meetings on July 11th, and if you have been on the fence about joining us, we’d love to have you stop in! Cadets begin with drill and ceremony practice at 6:30pm, with our regular opening ceremonies at 7:00pm. 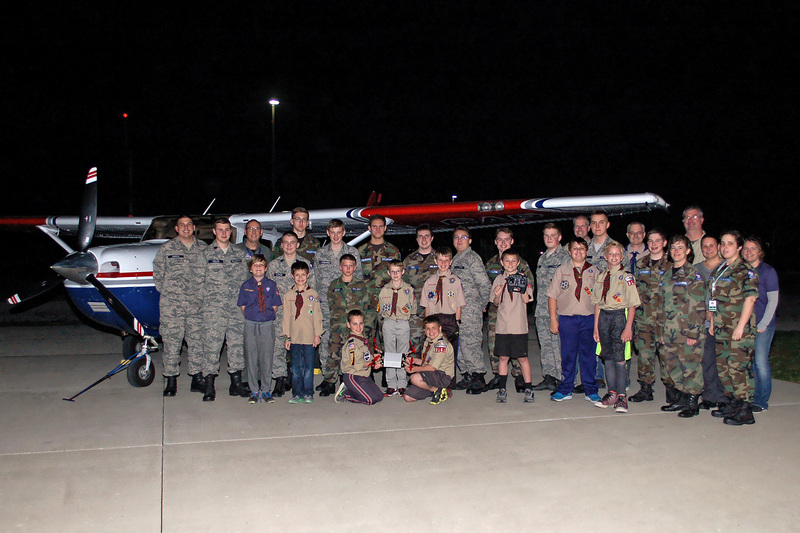 In early May the Cadets at Fox Cities Composite Squadron hosted the Boy Scout Troop 3161 for a night of “flying”! 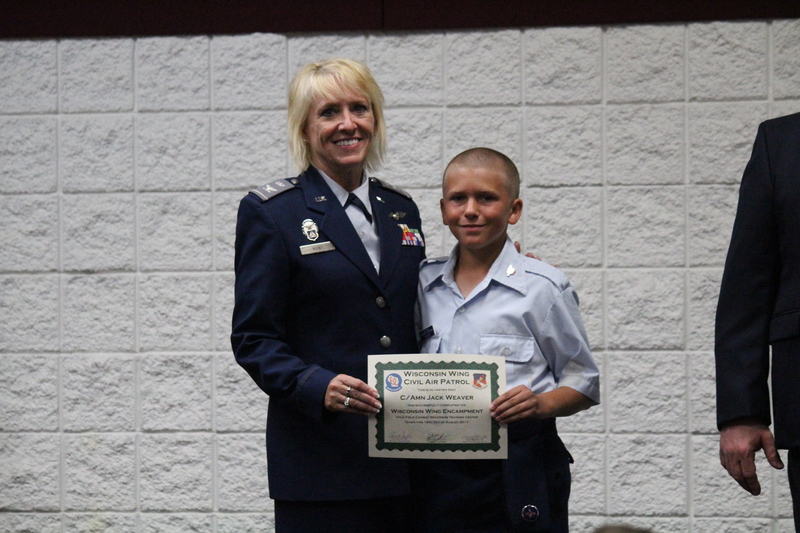 As part of the Civil Air Patrol STEM kit program each Squadron is able to take advantage of a quad-copter STEM kit. This specific kit comes with the electronics needed to build and fly the quad-copter! Members from both groups assembled, and practiced flying the quad-copter in the closed hangar at Fox Cities Composite Squadron as well as participated in a little bit of drill and ceremony. The Boy Scout Troop was lined up in a flight and our senior Cadets shared a little taste of CAP style drill. It was an amazing evening of learning and sharing and a great time was had by all!